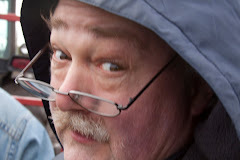 As I wrote on my other blog, and reiterate today, time is simply getting away from me this month. So just a relative few words about this week's posting (very few about the second side), and then they can speak for themselves. I bought this record last week, and wanted to get it right up here because it's so unusual. For one thing, neither artist seems to show up on any other song-poem 45. For another thing, one side is an instrumental, something you rarely see on a song-poem. 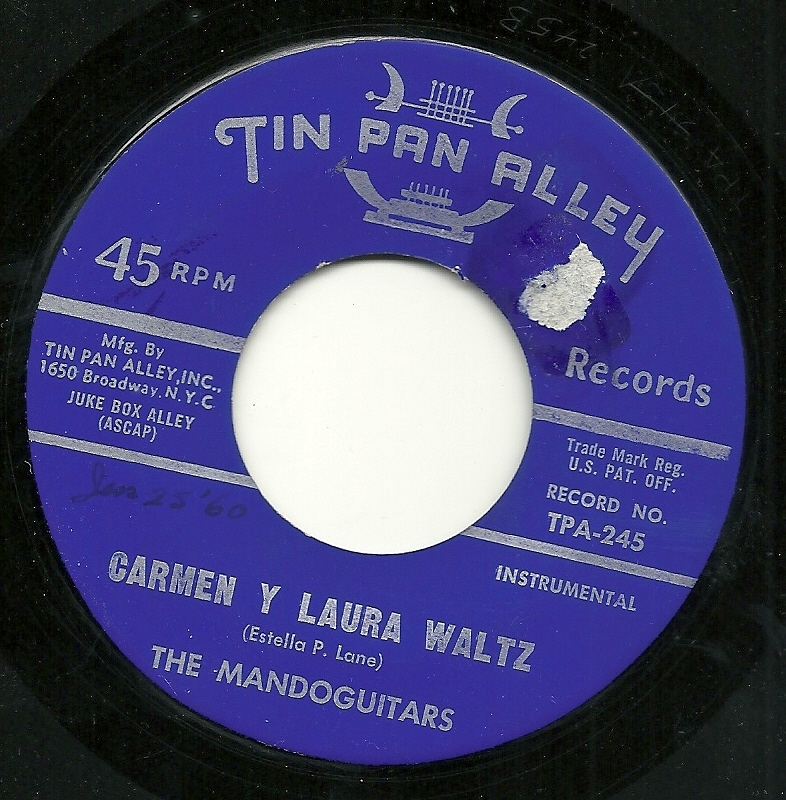 It's certainly possible that "Carment Y Laura Waltz" by The Mandoguitars is a vanity release - a completed recording which someone paid Tin Pan Alley to release. But (and I may be missing something) I'm not aware of TPA doing vanity releases. But there are a handful of other records from this era of the label (1958-59) which also feature otherwise unknown names, so it's possible. But regardless of its parenthood, it's an interesting listen, and something that seems to be virtually unique among TPA releases. Okay, raise your hands, how many of you even knew a Mando-Guitar was a thing. I didn't. 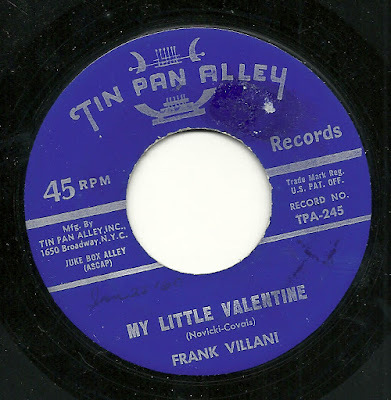 The flip side, featuring the equally otherwise unknown Frank Villani with "My Little Valentine" couldn't more clearly be a song-poem - and a fairly awful one at that, if it came stamped with "I am a song-poem" on the label. I have a rather unusual release for you today, unusual for a few different reasons. 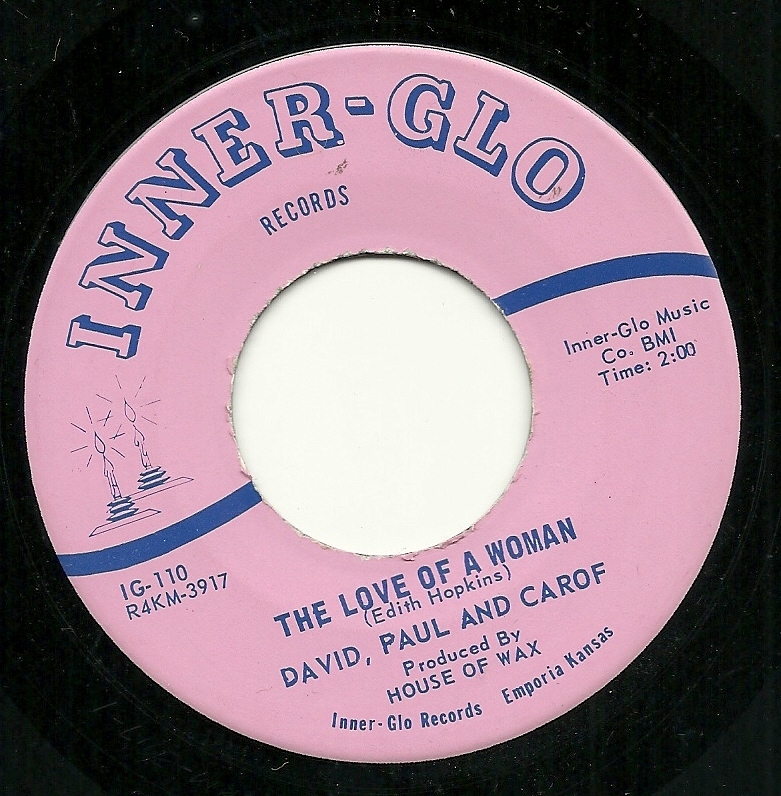 The record was released on the Inner-Glo label, a label which existed primarily for the purpose of housing songs written by Edith Hopkins. Edith Hopkins may be my favorite writer from the song-poem world, having written more than a half-dozen songs that I really love. At some point, Ms. Hopkins may a go of it as an actual, prospective writer of hit songs, and a few non-song-poem (although not successful) artists recorded her work on the Carellen label, which seems to (maybe) have been a legit/song-poem hybrid. At some point, however, she moved on to her own Inner-Glo label. And many, if not most, of the records I've heard and seen on Inner-Glo came from the Globe song-poem factory, with such stalwarts as Sammy Marshall and Kris Arden. And they tend to sound very much like Globe releases, even when they are far above average, as with Sammy's great double-A side "I'll Do It For You" / "Nothing Ventured, Nothing Gained". The story behind today's record, though, is not so clear, and I find it kind of fascinating. First, there is the artist credit, to "David, Paul and Carof". I've done some searches just now, and I can't find any reference to "Carof" being a first name. 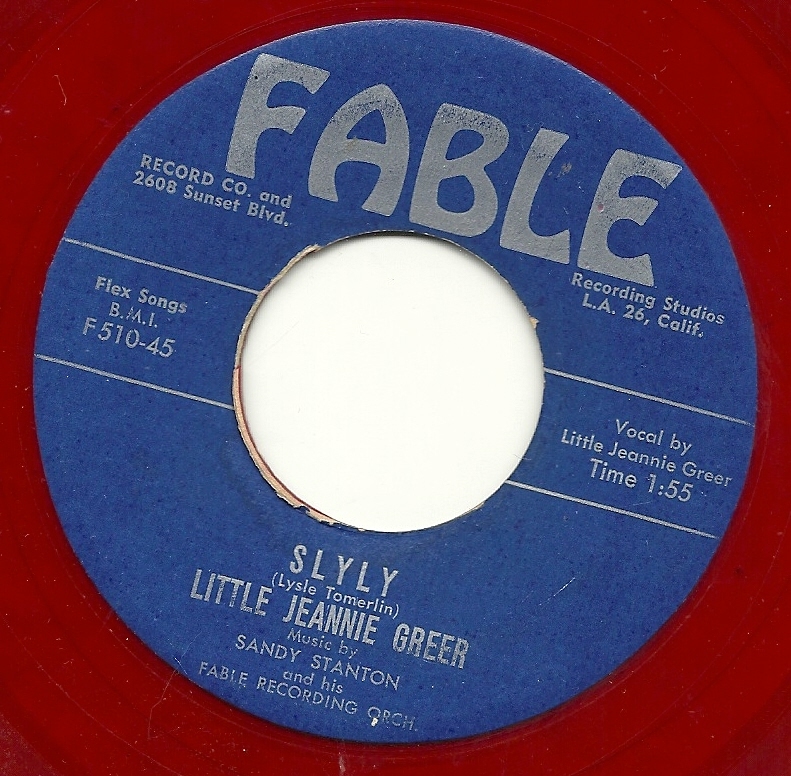 It also appears that this record (from 1964) is the only one ever released bearing this artist credit. 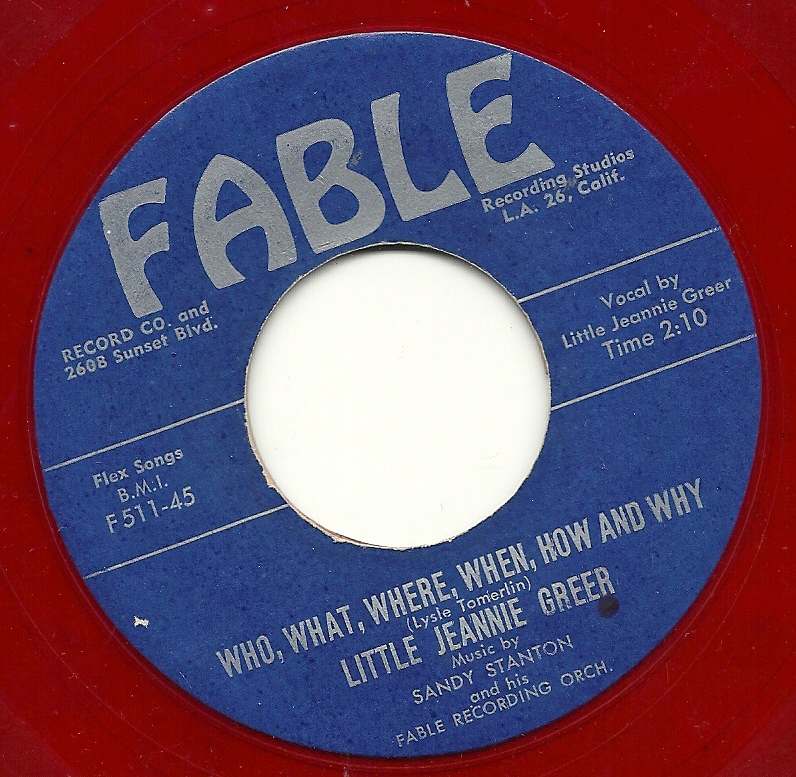 And on top of that, the song's genre is one rarely heard on song-poem records - folk music, very much in the relatively simple vein of Peter, Paul and Mary or the Kingston Trio (although not in the wheelhouse of the more adept and musically excellent groups such as The Weavers, The Limeliters or The Chad Mitchell Trio). I can barely think of another song-poem that sounds quite like this. The song on this side is by far the better of the two, to my ears, "The Love of a Woman" (although I wish they'd bothered to get all the instruments in tune with each other), and yes, the record really does end like that. 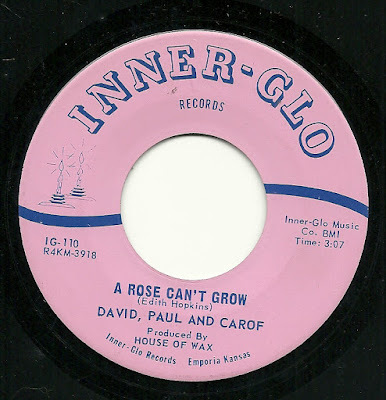 The flip side is the more musically complex "A Rose Can't Grow", but it's also quite a bit more ponderous, and is the sort of thing that often tries my patience, despite my being a huge fan of the music of the folk revival of this era. It sounds to me like the vocal gymnastics required by the arrangement are a bit beyond these guys. 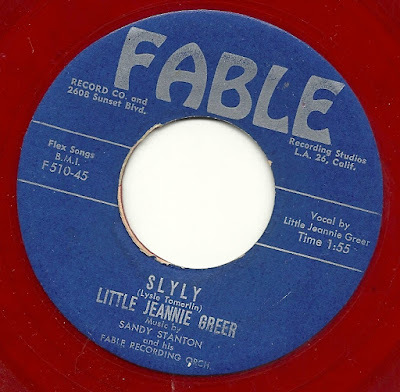 As I've written before, posting songs from the Fable Label poses an interesting dilemma. Most of the songs on the label were probably not song-poems, but a good percentage of them seem to have been vanity releases. And when a likely vanity release is sung by someone other than the song-writer, that seems like at the very least a hybrid vanity/song-poem release. Such is the case - and I'm guessing here - with today's feature. Lysle Tomerlin had several songs released on Fable, and wrote at least one South-Pacific-Themed song which was recorded and released by an established artist. Aside from that song, though, everything seems to have been on Fable, making me suspect these as vanity records.